Our database of engines is massive. Did you know that we are one of the largest engine dealers online? If you have not heard of us, be prepared to be shocked at what you get from our company. 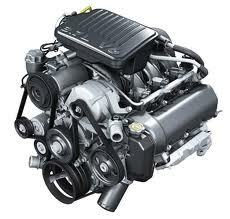 We deal in used engines, new engines and rebuilt car engines for sale. We make it so you can stop buying from newspapers and online auctions. You have the ability to buy engines for cheaper prices than you have ever paid in the past. Our used car engines for sale fit perfectly into any vehicle without alterations required. Do you need a Chevy engine? How about a Ford or a Dodge? Even if you do not own a domestic automobile, you will find the engine you need in our inventory. Apart from major U.S. automaker engines, we carry a full line of JDM engines for Honda and Toyota. We make it more affordable than you realize to own your very own engine for less than what you would pay elsewhere on the Internet. You do not have to get stuck buying a brand new engine from a dealership. We have lowered the prices for every one of our engines in stock to help you save a ton of money. We are known for many things and having high prices is not one of them. We hear every day from customers just like you how appreciative they are to have found a respected used car engine dealer. We hear stories constantly about bad dealings with some of the most popular names in the engine industry. We use this data to make our engines better and it shows in the quality of our products. If you don’t have the budget for a new engine, we give you the same quality as a new one at a used price. Our expert mechanics work long hours to make sure that every used or rebuilt engine is perfectly tuned and ready for installation. We have a completely awesome warranty. We don’t tell you what you can and cannot do when you buy one of our engines. We know that limitations exist for some warranties, but we feel ours is the best in the used engines industry. We want to be sure that our engines have a great name attached to them and they do. Our pride and passion is put into everything that we sell and include in our inventory. We make sure that every customer no matter where they live is 100 percent happy with their purchase. You have nothing to lose by letting us be your engine dealer online. 1-877-630-3873 is our toll free number that puts you straight through to our engine experts. We don’t hold you up. We know you’re just checking our prices and will get back to us to order. If you want an email quote, enter your information into the quote form to the left of this section. One of our helpful specialists will send you a fast quote to your email. Getting our low price is super fast.